Keeping my daughter’s attention can be a hard task. Sensory activities for toddlers that truly engage and keep them focused are what I’m always trying to come up with. Since I have started this blog I have been trying to find the work to SAHM balance. I absolutely love being able to write every day and the new skills that I have learned are uncountable. I often find myself thinking about work and writing things down while I am watching my daughter. While I love the creative side blogging has brought out in me I was starting to feel a bit guilty for not spending all my spare time with her. That is why I created this 7 Day Mommy and Me Challenge. I wanted a way to hold myself accountable to doing quality educational activities with my daughter. Now you can do the same as well. This 7 Day Mommy and Me Challenge is for anyone who would like to find some motivation and engage with their child on a more regular basis. With this challenge, you will have access to several different educational activities every day for 7 days. The challenge is free so there is no reason not to give it your best. Engage with your child and show them that you can be fun with simple daily activities. 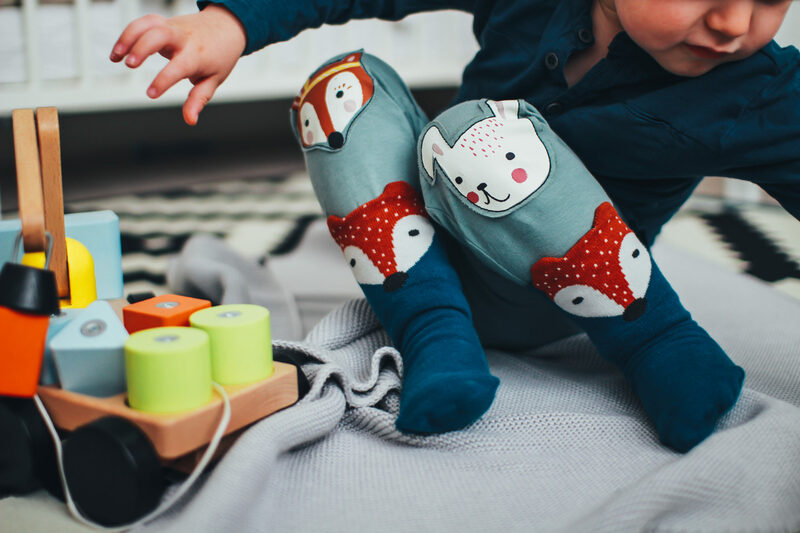 Your child is sure to enjoy the mommy and me time as well as learn valuable practical life skills, developmental skills, fine and gross motor skills, and lots more! Be sure to join below so you can enroll today! Are you ready to start engaging with your child on a daily basis? Looking for educational activities that your toddler will love? Sign up here to get full access to the 7 day challenge! I wanted to give you a few of our go to sensory activities for toddlers that can guarantee a quick 20 minutes of toddler concentration. 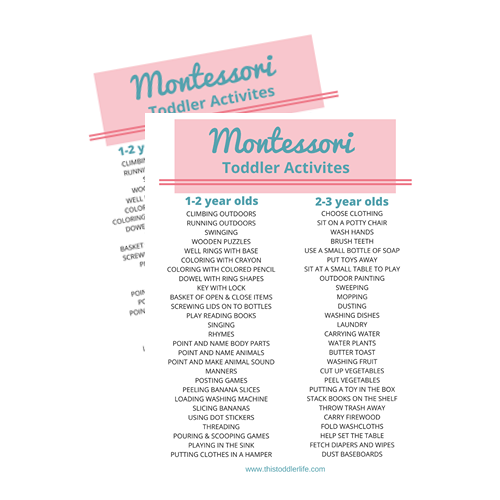 Since we try to practice Montessori wherever possible most of these activities are Montessori based. If you want to learn more about Montessori you can read What is Montessori & 5 Easy ways to Begin. I have a great budget friendly craft for threading. Use pipe cleaners for the thread and cut in half toilet paper rolls to thread the pipe cleaner through. If you prefer to just get a threading set this one is a great quality threading set from Melissa & Doug. We live by the ocean and I love collecting sea shells. This has turned into a bit of a hobby for my daughter as well. We sort the rocks from the shells and do a bit of counting. (I do most of the counting my 18-month-old just says two over and over.) We also use this stack and sort board good for color recognition, shape recognition, counting and hand-eye coordination. I saw a pin for this awhile back and was like woah how did I not think of that?! Here is the link for the pin! You can use the Schleich animals that are hard plastic and won’t be damaged in the water. Since I am sitting at a table and chair when I work I thought my daughter would like to as well. She does but only for a little bit of time and then she gets fidgety. So I bought a used desktop keyboard off of eBay for $5 and she play types on it and uses a pen and paper. She loves playing office! We go in stages with this one. Sometimes she is really interested other times she can’t be bothered. The pink tower is great for this! We have this latch board from Melissa and Doug and it is so great for concentration. There are 6 different locks that are totally different. My daughter still hasn’t figured them all out yet. We actually don’t have a sandbox we have a homemade raised pallet garden. I will bury a few shells or rocks and let her dig around in the dirt while I sit on the deck typing away. You can use the Schleich animals for this as well. Here are some great quality shovels for them to get their hands dirty with. This is a new favorite. She must be watching her dad when he washes the car because she loves to get the sponge out and give the trike a wash. We just turn the sprinkler on and she uses the water that way. Basically the same as the animal washing station but using shells and rocks (Can you tell we love shells at this house). I’m always looking for activities for my toddler. He will love the washing station! These are great ideas! I can’t believe I never thought of an old keyboard! Thanks! Yes, the keyboard is awesome 🙂 My daughter loves pretend typing on it, just like mommy.